Waterline Boats LLC is a full-service yacht dealership and brokerage, and is the exclusive Washington licensee for Boatshed, the world’s largest yacht brokerage group. 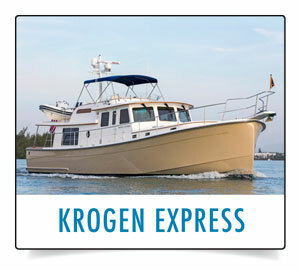 We specialize in new trawler-style yachts and are dealers for Krogen Express Yachts and Helmsman Trawlers®. As Boatshed Seattle we offer complete brokerage services for power boats and sail boats. With offices and docks on Seattle’s Lake Union we are at the epicenter of the Pacific Northwest’s vibrant boating culture. Parking is free and so is the looking! Stop in and see us – the coffee is on! As a team of knowledgeable boaters we pride ourselves on quality, attention-to-detail, and the integrity of our services. Our forthright approach to helping buyers and sellers alike enjoy a successful transaction is the common theme in our many testimonials. We’re in this business because we love boats and we enjoy the people who love boats. We always strive to earn trust and enthusiastic praise for our expert client care. Above all, we’re intent on helping adventuresome people enjoy the boating lifestyle because there is nothing like time spent on the water. 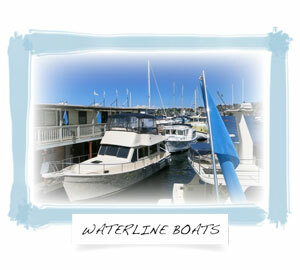 Waterline Boats has prime display moorage for brokerage boats at a discounted cost, including monthly washing services. Boats that get seen get sold! 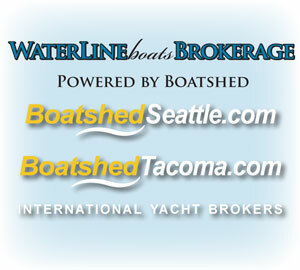 Waterline Boats is the exclusive Washington licensee for the Boatshed International Yacht Brokerage System. With over 50 offices worldwide Boatshed is the largest yacht brokerage group in the world. Our processes are unique and cutting edge (others regularly attempt to copy us) and we strive for a pleasant and professional process for buyers and sellers alike. We believe that Boatshed advances yacht brokerage to the next level - by fully using the power of the internet and proactively marketing boats locally and across international boundaries. Give us a call to learn more about why Boatshed is a good choice to market your boat. 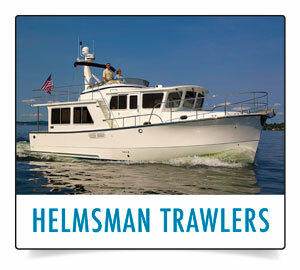 Helmsman Trawlers feature innovative and modern designs that remain firmly rooted in nautical heritage. Master craftsmen create warm teak and holly interiors that remind you you're in a yacht - not in a hotel room. Hulls are heavily constructed with proven methods to provide strength and longevity. Exterior structure and materials assure a minimum of maintenance. And seaworthy designs are comfortable under the wide range of conditions that may be encountered while cruising. Six models in the practical size range from 37 to 43 feet. The Krogen Express 52′ is ideal for our Pacific Northwest waters – her downeast commuter yacht styling and her trawler sensibilities will resonate within our cruising community. And her performance will appeal to those who don’t want to be limited to plodding along or letting the tides control their schedule. We are proud and excited to have been selected to represent Krogen Express. Having long admired the quality and refinement of Krogen Express – both the yacht and the business behind the yacht – Waterline Boats is pleased to offer this special yacht. We see that our role is not to introduce Krogen Express to the Pacific Northwest, because its reputation precedes it… Our role is to make the dream of buying a Krogen Express more tangible, and the ownership experience itself easy and enjoyable because of our passionate local support and committed service to Krogen Express owners.